Flight Of The Conchords perform at the Eventim Apollo, London in 2018. Bret McKenzie (right) used a Lightpad Block foot pedal to trigger backing tracks. 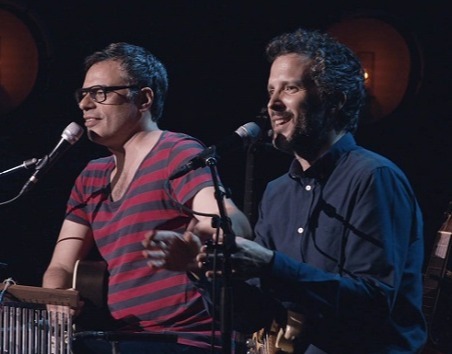 Jemaine Clement (left) and Bret McKenzie (right) perform on their 2018 tour. Flight Of the Conchords, already in a league of their own as a variety-show duo who flit between acoustic ballads and deadpan comedy, introduced something ROLI has never seen before: the Lightpad Pedal. Their 2018 tour saw Bret McKenzie and Jemaine Clement — who brand themselves “the fourth most popular folk parody duo from New Zealand” — pack the O2 Arena and Eventim Apollo in London. As the lights faded, Bret strummed the opening chords of “Inner City Pressure” on the bass. Two Lightpad Blocks glowed near his feet. They functioned as a foot pedal, ingeniously hacked to trigger sequences in the electronic backing track. It’s not the first hack of the Lightpad, which has a fully programmable Littlefoot script. But it’s one of the most clever — definitely the fourth-most clever ever devised by a folk parody duo from New Zealand. 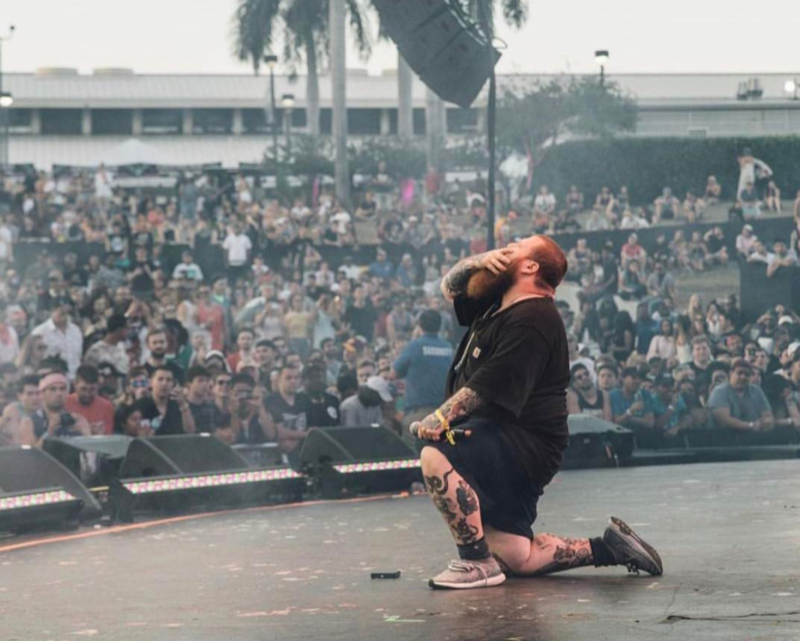 Action Bronson at Rolling Loud Festival, Miami 2017. Spot the Lightpad Block on stage near his feet! 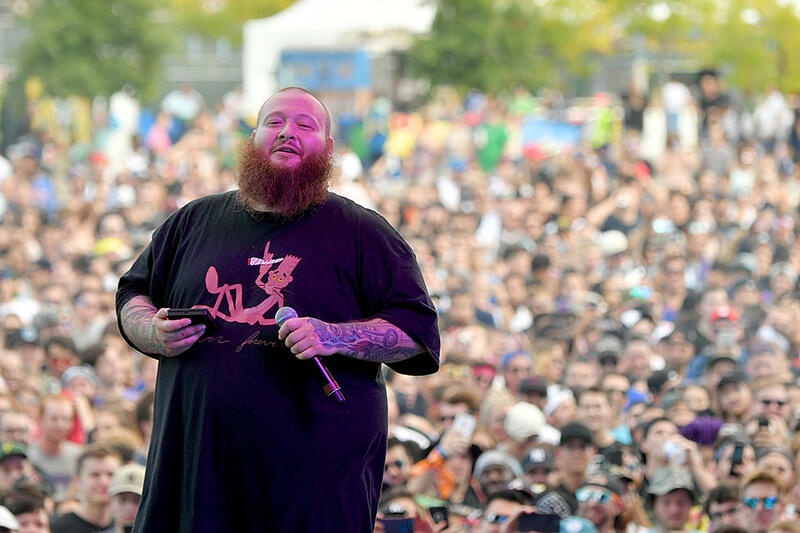 Action Bronson has millions of fans, and they're all over the place. They love him as a ferocious, irreverent rapper. They also love him as the former host of the cult cooking show ***k, That's Delicious. Bronson is a high-energy performer, who often addresses his audience directly and drops spontaneous freestyles. So for his 2017 performance at Rolling Loud — Miami's largest hip hop festival — he wanted a flexible device that would give him complete control over his set, all without the need for a DJ. That's where the Lightpad Block came in. A custom script turned the Lightpad surface into 3x3 clip launcher, putting all of Bronson's backing tracks at his fingertips. Freed from wires, he ran around stage with a single Lightpad in the palm of his hand, triggering explosive sound effects for a crowd who were eating up every bit of his performance... and thinking ***k That's Delicious! Action Bronson holds the Lightpad at the end of his live show. 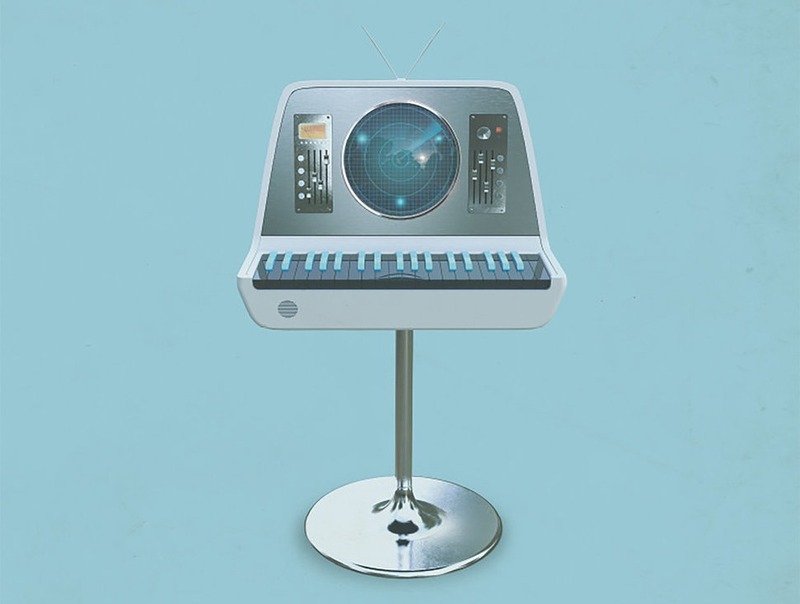 The original Enter Shikari sound machine design, from the cover of The Spark album. English hard rockers Enter Shikari draw on influences from punk and pop to electro and drum n bass. 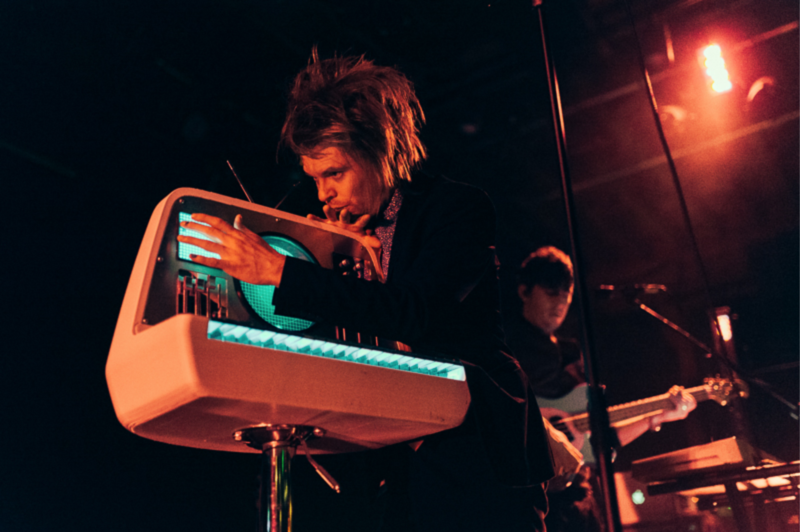 The cover art of their 2017 album The Spark showed an imaginary instrument that was almost an embodiment of their sound — retro and futuristic at the same time. When they went on tour, Enter Shikari decided to build the machine and make it the centerpiece of their set. With its distinctive glow, the Lightpad Block looked fantastic embedded within the Enter Shikari sound machine. On stage, lead singer Rou Reynolds played expressive synth lines and effects on the Lightpad surface, building up a huge atmosphere worthy of Enter Shikari's sound. Enter Shikari's Rou Renoylds plays the Lightpad Block onstage, San Francisco 2018. Sippy performing in Sydney with two Lightpad Blocks and two Seaboard Blocks. Sippy was one of the first artists in Australia to play with BLOCKS when they launched in Australia in 2018. Few people in Sydney could share workflow tips, and she worked out from trial and error how to integrate BLOCKS with her Ableton-based setup and her pumping heavy bass sound, which has earned her a big following in Australia and an emerging reputation in US producer circles. At Della Hyde in downtown Sydney, Sippy performed the first multi-Block set in Australia. “I used five separate Blocks connected via Bluetooth from the Songmaker Kit,” she said. “I had two Seaboard Blocks for playing lead melodies, and two Lightpads for drum pads and clip-launching AND to launch my bass patches and samples throughout the drops in my tracks. 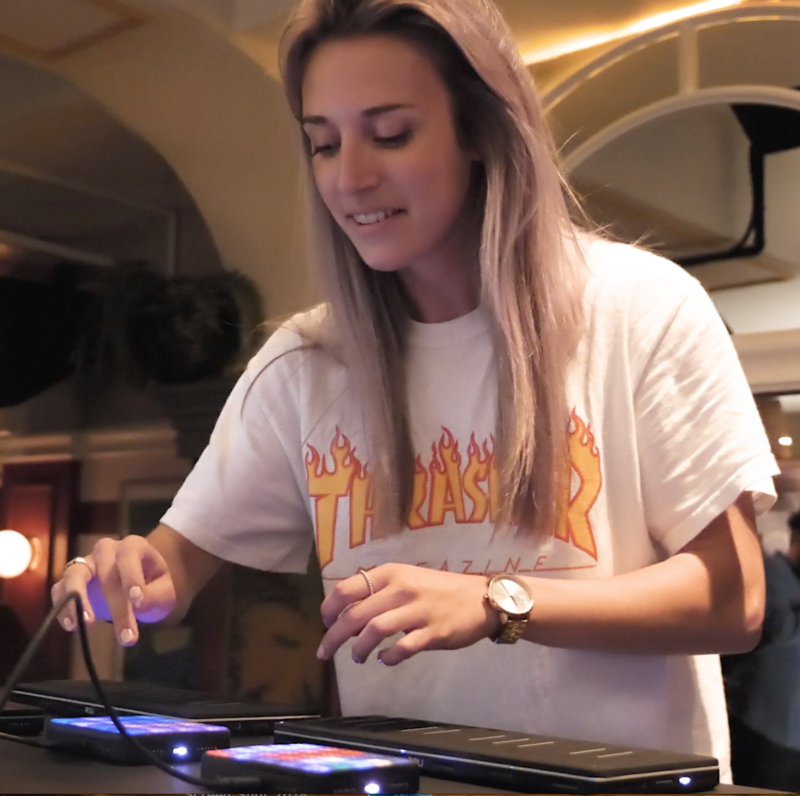 I also used the Loop Block as a controller to arm and unarm channels, which let me control multiple synths and create a very smooth live set.” Since this first show in September 2018, she has become one of the most proficient BLOCKS producer-performers anywhere in the world.